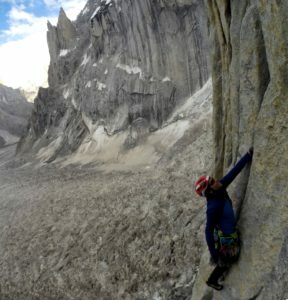 Publicity associated with the climb and the successful summit will provide a significant boost to more attempts to complete first ascents of Himalaya peaks. As we reported last week, a team led by the climber Bill Burke, the oldest American climber to summit Mt Everest at the age of 72 years in 2014, made the first-ascent of Burke Khang on October 5. Although he himself did not make the summit, Burke has now returned to his home in California and reflected on the expedition in a post on his blog. In it he goes into detail on the team members and covers events on each day of the expedition. He emphasizes the importance of incorporating rest days into the itinerary and hypothesizes that failure to stick to this plan may have resulted in one of the team being beset by altitude sickness. The route from BC to C1 was up the East Couloir, a long and steep climb mostly at 75-degrees vertical and higher, which Burke names the “Shooting Gallery” because of the falling rock and ice. Burke made safety first priority over all other objectives of the expedition, but the reason this expedition succeeded in summiting the mountain was because he was willing to forego the summit if it meant others could do so. Burke-Khang’s double hump summit proved to be the final challenge for the summit team. When they reached the top of the first hump, they realized the true summit required another significant move up the second. 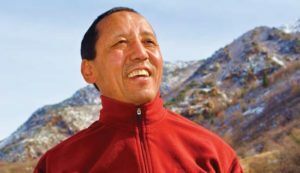 This was accomplished, and Noel Hanna, Naga Dorjee Sherpa, Pemba Tshering Sherpa and Samden Bhote stood on the summit of Burke-Khang at 12:05 pm. In conclusion, Burke says that one of the greatest sources of satisfaction for him is the happiness and pride felt by the Nepali Sherpa community over their success on the mountain. Given the little credit they receive on the well-known 8,000ers, he is happy to have them front and center for the success on Burke-Khang. Burke also notes that the successful summit will provide a significant boost to more attempts to complete first ascents of Himalaya peaks, a major goal of the Ministry of Tourism and the Nepal Mountaineering Association. 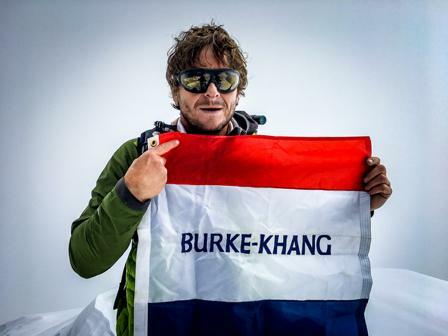 Finally, Burke singles out Noel for special credit, calling him the “strongest climber I know…a born leader and high achiever.” The summit would not have happened without the integrated and singular efforts of Noel and the Sherpa team. The expedition was filmed from the entire duration including drone footage from above. This will be made into a documentary film of the expedition.